Uptown on 17th Avenue is one of my favorite spots in Denver – the restaurants there are a huge reason why. In the old Olivéa space sits Beast + Bottle, run by brother and sister, Paul and Aileen Reilly, formerly of Encore on Colfax. I dig any brother and sister team that can seamlessly run front and back of the house and I loved what they did at Encore. Beast + Bottle’s space is small and intimate, with a prominent neighborhood feel. If anything, there is a patio out front where people can still see Denver’s skyline and people watch from Hamburger Mary’s to Marczyk’s Fine Foods across the street. Their menu is an homage to the whole animal (hence the “beast”) and really uses all parts of the animal. They have in-house butchery at the restaurant, and their menu rotates frequently based on the freshest produce from all the farmers and ranchers they engage and work with. They even have hens laying organic eggs for them, fondly known as “the ladies”. The bottle portion is driven by drinking wine by the glass, half-pour or even carafe’s (all available on the menu). Their wine list is impressive with Aileen leading the charge, and they also have a saison called “Barn House Ale” made by City Star Brewing, which is made special just for the restaurant. I loved how the menu visually represents this. Albeit small, the decor is clean and reminiscent of a warm, farmhouse with a palette of gray, white, and browns. The bar has hanging wood palettes for their glasses, which is a touch I loved. For appetizers my friend and I enjoyed scallops with cauliflower puree, golden raisins and 25 year sherry vinegar (15), english pea souffle with yogurt and mint (11) and one of my favorites, ricotta gnudi with leek soubise, asparagus and asparagus chips (11). Already the menu proved to be unique with special pairings. I was looking for something light this evening so I went with the spaghetti maccheroni alla chitarra with jonah crab, trevisio raddichio and spring onion (24). Each dish was thoughtful in presentation and beautiful. 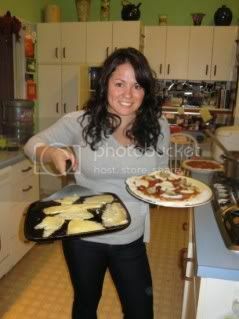 Although we ate many dishes throughout the evening the portions were small and the ingredients fresh which left me satisfied but not gorged or too full. Then, we turned to dessert. 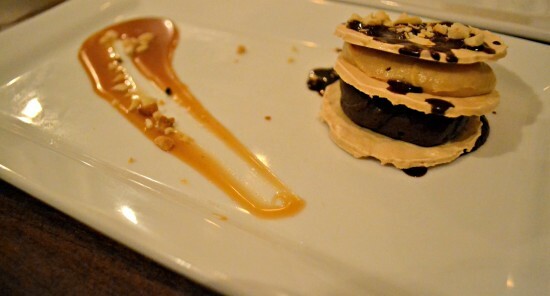 We picked the chocolate dacquoise with peanut vacherin, peanut butter mousse and sea salt caramel (7). Since it’s in season I loved the rhubarb custard tart with ginger coulis and cardamom chantilly. I wish Beast + Bottle was in my ‘hood so I could belly up to the bar to enjoy a carafe and peruse through their menu to see what they’re featuring that week. 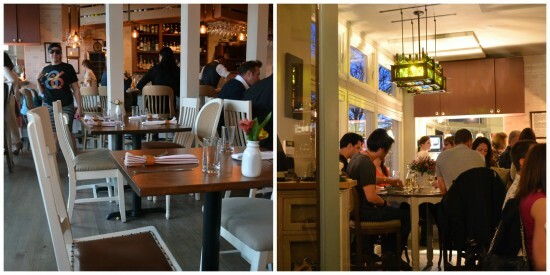 It’s a wonderful and cozy location and the Reilly’s are tried and true restauranteurs. Thanks to Beast + Bottle for inviting and hosting us! 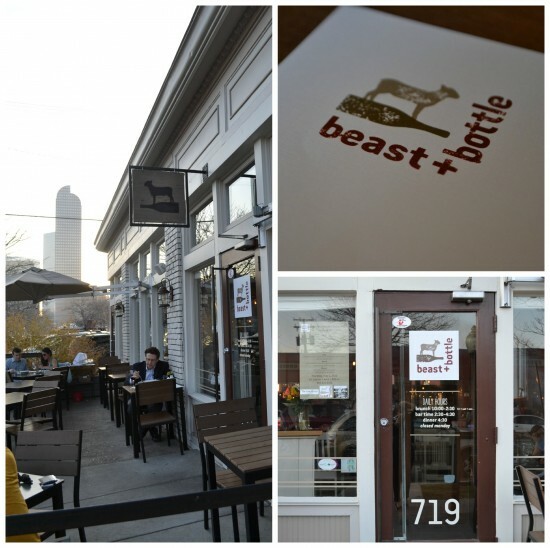 Happy to have Beast + Bottle in my neighborhood! I really enjoy their dinner service and will have to try their brunch soon. Just a really wonderful place all around!